Oh wow!!! Featured! I'm very grateful that people are digging her too. Again, thank you so much for all the feedback everyone! 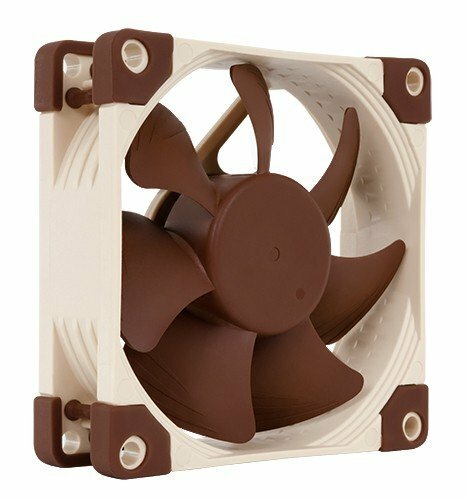 I can pretty much get this out of the way and say I absolutely LOVE Noctua products. While not everyone's cup of tea, I find the beige/brown color scheme amazing. Particularly because Noctua themselves so strictly stick to it despite everyone seething for other options from them. I came across the Noctua fans during that first build. And while loving them, they didn't match what I already had going on so I put the thought of them on the back burner for a short while. Cut to a few weeks later and my project was done and I was immediately suffering from what I can only describe as a deep sadness that I was no longer building a computer. SOMETHING YOU ALL CAN RELATE TO, RIGHT? So I came back to those fans and built up a little dream project: make an aesthetically pleasing Noctua-Based PC, inside and out. I had three guidelines: It had to be overclockable Micro ATX or Mini ITX. I didn't want to modify any components beyond the case. And of course, nothing could cool it but Noctua. Later Water Coolers! The most profound hurdle in this process was finding the right case to build in. Particularly something that would encourage a nice two-tone look. I looked in my free time for days. I have no idea how I stumbled across the CaseLabs "Bullet" line of cases, but wow!!!! I can't imagine I'll ever be happy working with something less modular and sturdy than this thing. They make cases for the government. It's full of smart designs that I often found myself saying "thanks" to no one in particular during several moments of the build. This is even after disassembling it entirely for the paint job. Which was simple, because it's completely modular. And then there's the huge bonus that it's silhouette is the same as a Noctua (or any case fan for that matter). Serendipity! The painting was.... well it was work. And it took time and twice as much research. I owe a huge thanks to the local Auto Paint Shop that matched the Pantones for colors. They killed it there! They also helped explain some of the clearcoat process and gave me all my mixing ratios. I looked at countless Case-Painting threads--plenty of great advice out there, though few agree across all points so there were still some moments of "I hope this is how you do it," followed by "phew". I'm not new to spray painting, but using a HVLP Sprayer with compressor was a first for me. I'm happy to detail every part of the painting process if people want it. It's extensive... Every piece of the case was sanded, primed, painted and clear coated, including the hidden SSD bay that no one will ever see but me. Assembly of the actual computer was much more difficult than I expected thanks to a faulty Asus Mobo and SilverStone PSU in my first batch of parts. My god that made problem solving why the thing wouldn't post a HUGE headache. That took me 24 hours on and off to finally get right. I'm much happier with how my final product looks anyhow with the swapped Gigabyte Mobo and the Corsair SF600. I've currently got her running stable and OC'd at 4.5Ghz and I've only begun testing her limits. 5927 on 3DMarks's Time Spy. As always, huge thanks to PCPartPicker.com and the community on here. You guys rock. And Noctua. I <3 U Most. Easily the best looking Noctua themed build I've seen. Wouldn't be suprised if this gets featured next. Oh wow. Thank you. That would be so awesome. I looked for Noctua-themed builds while throwing this idea around and there really weren't that many out there to pull inspiration from. Hopefully some other people will be inspired to take a crack at it. Turns out you weren't wrong. You've created a case those fans actually look good in! Well done, sir! Thank you. Noctuas for everyone! I never a fan of the Noctua color scheme. But I think you have changed my mind! Great job, awesome build +1. i saw the case and thought for a minute that noctua was making cases! looks wonderful and the color scheme is great!! congrats on being featured, well deserved !! 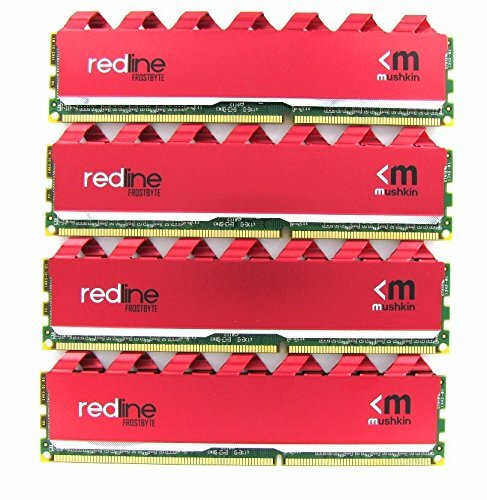 Those red RAM sticks and slots are driving me insane. It would have been perfect with the gold shrouds BUT it turns out my board, like about a third of them out there it seems, suffered serious power issues and it wouldn't post. I returned it and this is what was available locally. I'd have preferred the MSI Mortar as runner up, but it wasn't available. I'll switch the whole thing out if another mATX comes along that's better suited. The Z170mx also appears to have the most fan ports of the bunch though, and with such better placement--particularly useful on my build. As for the memory... to each their own. The red at least tonally matches the natural red hues in both the beige and browns of the Noctuas. It's visible in their Pantone profile as well. I swapped in some gray Viper Patriots and they looked worse, probably for that very reason. I'm not sure there's anything out there that wouldn't require some modifications to make fit "perfect." Kudos for both your points though. Those are really the two things that are holding me up as well. An amazing and unique build man, very well done! Definitely deserves the feature. Wow. Now I want a coffee from starbucks to go with that case. I never would have thought Noctua brown colors would look good. Good job modifying your pc. Hmmmm... Can you get brown mod cables? Could brown and beige be hidden in the RGB spectrum somewhere for some crazy LEDs? I'm considering some cable mods though that will probably be an addition I'll add down the line. You can get cream and tan custom sleeves. I'd probably do some combo of the two. A touch of black maybe. I do actually have hue+ running underneath the black lighting bridges along the top of the case. I've got them pushing out an orange-tinted white that pops the natural hues of the fan colors a bit more. It's subtle. I turned off the LEDs on the 1070 entirely. It made things too busy. I've heard of people starting with 'white' cables and using a coloured marker to get the exact shade they are after. Hmmm... That's an interesting suggestion. Maybe I'll pick up a white extension and play with some color samples... Thanks for the advice! This is beautiful! 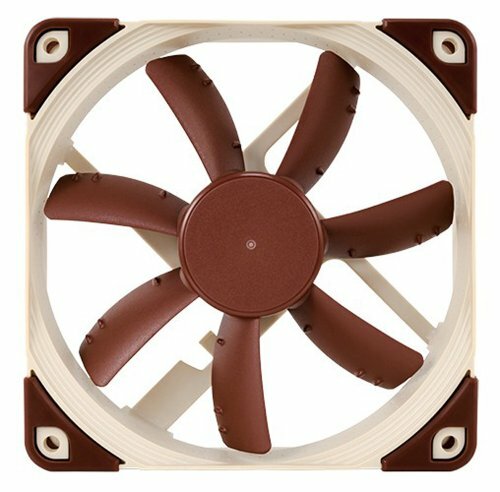 I love Noctua for their cooling products, detest them for their choice of color scheme that looks like it was ripped straight out of an episode of Mad Men interior decorating. But I love what you did, picked a theme and stuck with it. Love the paint and attention to detail with the painted screw heads as well. Awesome. Needs to be featured. That would put a huge smile on my face. Thank you! Airflow has beyond exceeded my expectations with the case. I was worried about teetering into overkill and just creating more noise with the extra fans, but everything has buttoned up soooo nicely. I wanna see what one of those looks like completed. Totally do it! Would you go for water cooling? Well, with that airflow, we just need big fans and heat-sinks! Check out what this guy did. Whoa! Thank you!! 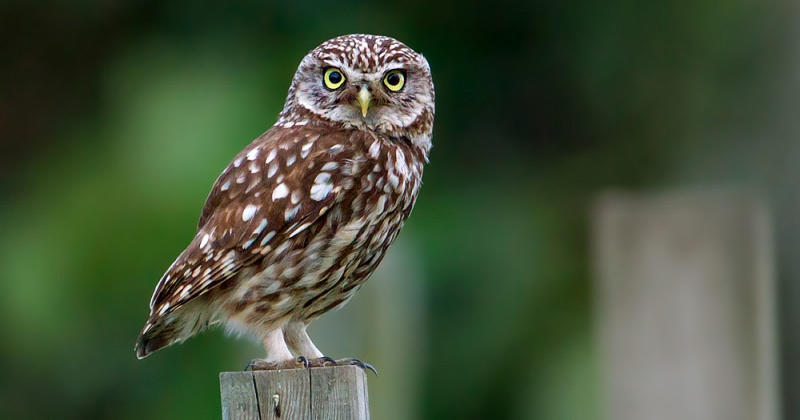 Briefly researching all of this, I'm pretty sure Noctua pulled their colors to match the actual Athene Noctua or "Little Owl" native to Austria and similar regions in Europe. I love how nerdy that detail is. I was guessing you were across the pond after I saw how you spelled colour. Cheers mate! thanks! Just pulling yo leg and hopefully planting a seed of annoyance that you'll eventually just NEEEED to address. +1 for an awesome looking build. I've peeled the onion pretty far but I haven't gotten so far as modifying internal components just yet. Who knows though. Maybe next time? Thank you! That case looks like something I'd wanna have. This is awesome! 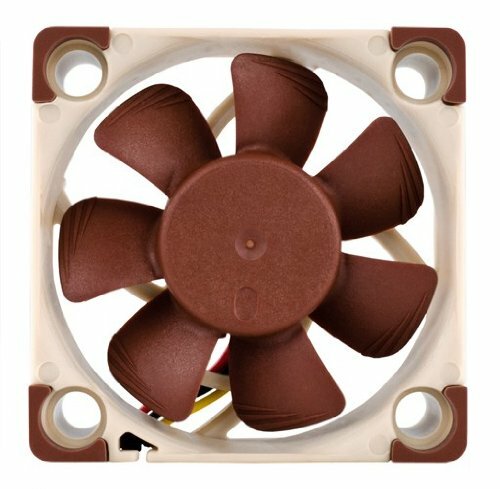 I have a Noctua CPU cooler and I've always had mixed feelings about the colors: I like that they are different and do their own thing, but don't like how it clashes with everything else I have. This definitely resolves the problem. Well done! +1,000,000 for the build, -1 for the La Croix (I very much dislike that beverage) overall score, +999,999. Your case scheme reminds me of the beige future many sci-fi films had from the 60's and 70's. Also, +1 for glorious and noble Jackalope. The mermaid of the Wild West! Search for "Unicomp". They make these IBM keyboards from 30 years ago, like the Model M.
One of the best custom paintjobs (and awesomely Noctua themed) I have seen on this site to date. Very nice build! It's a shame I can only +1. 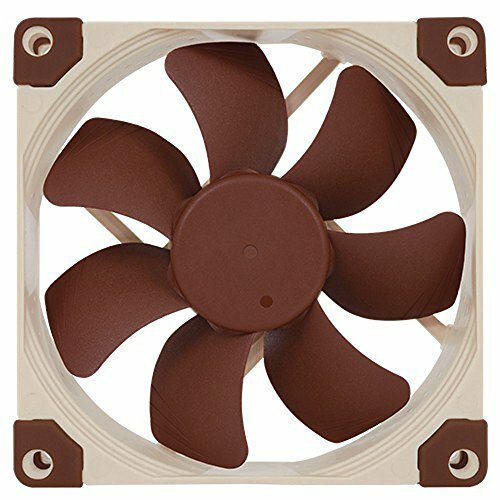 I've always been on the fence with how Noctua fans look. But now I'm sure. They are pretty. I rarely say this, but....this build is ABSOLUTELY GORGEOUS. I do dig it. Very stylish, very clean and sober. The components are a personal thing, but the aesthetics are off the hook. Good flippin job, mate. Definitely worth the feature. You should send the pics to Noctua too if you haven't already. Truly unique. Great paint job. Now THIS is how you use that somewhat-tacky brown color and make it look good! You did an excellent job and you should be very proud! I LOVE THIS SO MUCH. This is just perfect. This is the computer I've always wanted but never knew (also a Noctua fanboy here). Well done! I've been involved in the building community for years, and this has got to be one of the most creative/different builds I've ever seen. Noctua makes by far the best fans, but I'm a total obsessive compulsive snob when it comes to color schemes so I have always stayed away. I'm blown away at how fantastic this looks. Bravo. so creamy I love it! How is it to carry it by the handles? they seem a good distance apart from each other, which must make it quite comfortable as long as the handles are comfortable themselves. here I'm thinking of switching my JetFlo 120s to Noctua's S12As, how's it performing for ya? Stellar so far. The whole thing is whisper quiet. Makes my corsairs in my other build sound like a turbine. The 12As are great for maximum airflow as long as they're not needed for static pressure, like through radiators or congested cabling. That's some awesome custom work right there, really. Noctua fans look good in an all black build where there aren't too many contrasting colours, but they look the business in this! Also; if you wanted to take the colour co-ordination to the next level you could water-cool just the GPU. An EKWB block on there would look clean and tidy, and you could dye the fluid to match the beige or the brown. I'm so pleased this is feeling the love right now. Thanks man. As I told reaperfang, I don't think there's much of a good option RAM-wise for the build without doing more custom work. There's a red tone in both the Noctua beige and brown Pantones that I thought the metal-red of the Mushkin kind of gelled with. I totally agree on the water cooling front if it was a pure aesthetic thing, but you can't make a Noctua-themed case and put a water-cooler in there. That's blasphemy! It should be seeing love. You do you man; if the RAM works for you that's all that matters! I love the dedication, not wavering in the slightest. Love how you approached and executed this build. Well done! Thank you! I know the manufacturer is back ordered for weeks but I was lucky enough to find the case through a reseller on Amazon. I hope you share the results so we can see what you do with it too. CaseLabs are so worth the investment. I'm still pretty thunderstruck about how near-silent she's been so far. This is by far the quietest computer I've been around. Under a heavy load, with the 1070's fans at full power, it does get ramped up. But nowhere near what my Tower gets to, which itself is was pretty quiet until this came along. This is going to be featured for sure. I wanted the other one to win but this will make it. Jesus. The most Noctua build ever! This should be a featured build. eh, how you say.. fancy schmancy? nice build. I Love it!!! +1 and Congrats on the feature. Thank you!! What a great surprise to come back to! Really like the color scheme, but I see some obvious orange peel effect with the paint... Better luck next time on the painting process! I know what you mean but it still feels like a victory to me. It was my first time doing any kind of process like this myself, and I knew immediately after each step, how I would revise to improve it next time. You can read up as much as you can, but nothing like doing it yourself to really learn the ropes. I think the problem ultimately was twofold. Partly with how the clear coat was applied and allowed to rest, and partly with the sanding of the pieces. The case was factory powder coated which has a natural texture to it. While I tried to sand as much as possible, and with varying degrees of grain between coats, I really was using my best judgement most of the time and had to follow through to see how it resulted. Some pieces like the mobo mount, SSD, and PCi covers ended up perfectly car finish flat in the final product. Next time I'll know soooo much more going in though. Thanks for the feedback! I think it would help to use a good primer before the topcoat then the clearcoat. You want to sand beforehand to get good primer adhesion. Then you want to do a few coats of primer, sanding in between, so that before you ever start applying the topcoat, the actual surface has a flat finish. Then you do your topcoats, as you've done before, sanding lightly in between, then the clearcoats, etc. That's some great advice. I definitely did all of it. I didn't want to go to overboard on pictures on here. It's the finer details of using a sprayer and compressor that one really doesn't get without practice. And I certainly need more of that. I can't imagine the 90 degree weather we were having while I was trying to get that clear coat dry in my back shed helped with that final finish either. I'm thinking that's a pretty big culprit as well, at least according to some forum-digging I did. Really like this build; absolutely smashing. Pouring one out for the poor screw heads, though. Something struck me looking at your rear fans. It took me a couple minutes of staring to figure out why they were mismatched, then I finally realized that there wasn't enough grille space to go two wide at 120mm. I also saw that there was an unused 80mm mount on the back panel. Perhaps it would be worth trying the 80mm down there, leaving out the 120 and running a bit more positive pressure? You should have plenty of intake to pull that off. So there's a really long-winded answer for why all the fans are set up how they are. (Pun!) Most of it is about the size of the case and the mounts on offer. The rear panel actually has an 80mm and a 60mm back there with a spot available for another 60mm down below. That fan just arrived last night, I'll be installing it later today. I was going to run an additional 80mm up top but the lighting brackets diminished the interior mounting space on that side so I had to downsize to that 60 you see there. The only 120s are in the front of the case. And the CPU Cooler has two 90s on it. It's a smorgasbord of fans! Ah, my eyes deceived me (and I didn't look at your parts list closely enough). The color scheme is not my cup of tea but the level of work it took to get it done like you did was awesome! Especially on things like the drive cage that no one will see when its assembled. I did a build recently in the BH2 and agree man, after using Caselabs all other brands just dont compare. I have done many builds but the BH2 was my first Caselabs, simply amazing and fun experience. Check out my BH2 build, haha our builds are so similar in more ways than one haha! Thanks man! Yea, I know it's not for everyone, but it's definitely -all mine-. Your build looks sick too!! I honestly have no idea how I'll ever work with another case after them either... It almost makes me sad. If our PCs were pets, they would totally have a play date. I agree man, Caselabs is worth what they charge on their products haha. I also agree man our builds are like cousins or brothers lol. I actually respect the color choice so much more than any I could have seen because I know you did it for you, and I respect that more than anything. You nailed the right balance of the different tones too. You also seemed to put a lot of work in to get it done right as well which I totally dig! Congrats on an awesome build and the feature! I wished I went with the route you choose. I've always preferred Noctua's aesthetics, but nothing matched it (including peripherals). There's always your next build though right? I'd love to see some more Noctua-themed stuff on here. This is amazing! Noctua should really partner with a case maker to produce a case like this. I mean, the general silhouette of the case from the front is essentially the same as the fan! It would be so awesome to have more of them out there. Thank you!! Nice work love the choice of case and Noctua colors! Thank you! The work you guys pull off is next level! I love their color scheme as well, but it's so hard to get other components to fit it so that's the only reason I don't prefer them. Their industrial and redux fans did a lot to fix that though. Yeah, planning on some for me next build. Awesome! +1 And congrats on being featured!! "Man, I love Noctua fans, but they just don't match my build..."
What's up with the evga graphics card in the photos but the asus dual in the box stack? SirMints, Sir, I too have always been fascinated with the western jackelope. and as a side note, nice build. +1. 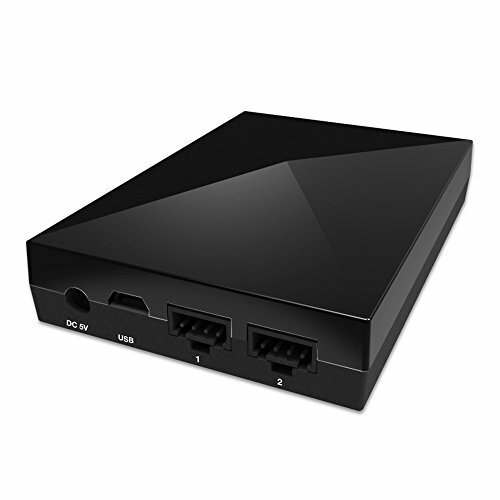 My question is mostly why not the ITX version? You make even us Noctua anti-fans jealous. This is a real beaut! First build I've seen that matches the Noctua color scheme perfectly. Excellent work! Wow, I rarely like the Noctua fans but this, this is a beauty among machines! Amazing work! Since when did notcua look this good??? Wow..... I never thought I'd actually like the Noctua colour scheme! But thanks to you now I can see the beauty in them. Also this is one of the first Caselabs Bullet series builds I've seen the case looks darn amazing!!! What was it like to work with? The ITX version does look preety sick but what's the clearance for a h100i v2 and front fans in the front? 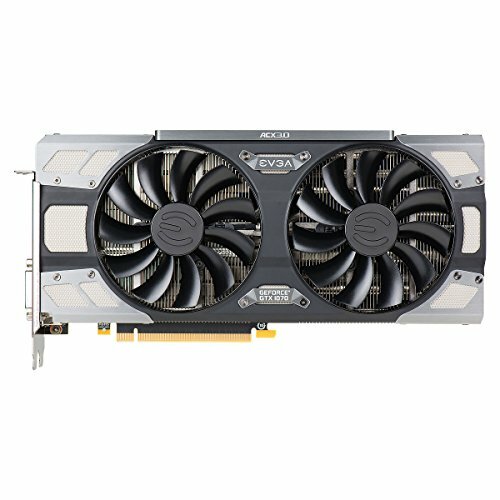 I'll be looking to put an ASUS GTX1080 STRIX edition in the case (black and white themed) I have attached the part list below. Oh and your build if you were to say to someone I chose the Noctua colour scheme for my PC they'd look at you and laugh their brains out but when they see it you'll be laughing your brains out at their reaction!!! Next project: Paintjob on motherboard, videocard and the RAM! It will look even more classy. And I'msure that there are plenty of tutorials out there that show you how to do it! Heh, I really hope to see another featured build by you on this site! Sincerely well done. Never been keen on the Noctua look, but by committing to it by even customizing the case, this looks amazing. A little late, but this is pretty much my dream build! Your attention to detail is second to noe. Excellent looking build my man, really nice job with the paint. You're hard work clearly paid off! I'm not sure why but the color scheme just reeks of a 70's vibe. There's something so beautifully off putting about the scheme and it almost seems...how to put this...podunk-ish (??? ); I have no idea but it's awesome. 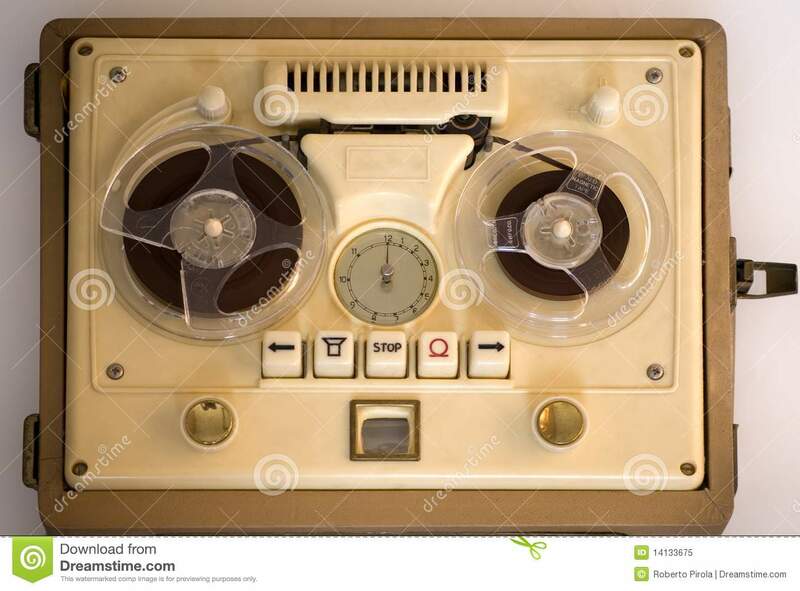 It says something that a few of the first PC (and game consoles) had a very similar color scheme. All that isn't to say it's a bad thing, that's just the very peculiar vibe that specific color scheme emits to me. I've always found it odd but still gorgeous in its own way. This though, this is a new level of awesome. I'm sure tons of work made it that pretty. Great stuff. Right! Haha definitely meant as compliments, if ever so weird ones. It was a lot of forethought about where each connection needed to end up. Most everything was looped down through the lower part of the case. Down there, everything was ziptied to keep each cable down to the smallest footprint, with just a little more than i needed sticking out of the connection ports along the edges of the case. There was some extra space at the front of the case that I was able to slip all the cable in the front through, before looping back up out of the side ports and that big middle "trough" they give you that's intended for your 24 pin, GPU power cables, and any other sata pcie connections. I tried to use that trough as little as possible for any other connections. I really love Noctua's aesthetic (looks at haters) and I can tell whether or not something looks nice with the Noctua Aesthetic. You sir earned my respect. 11/10. No really, 11/10. Thank you! I've come to be quite proud of it. I don't know man, that owl is pretty big, objectively speaking. 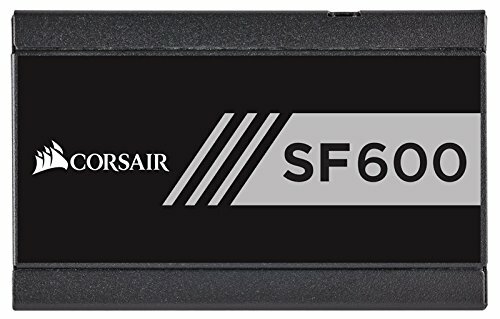 Do you need a sfx or sfx L powersupply for this case? This one requires an SFX PSU. Both this model BH4 and the Smaller BH2 only fit SFX or smaller PSUs. There is a BH7 for a full ATX board that will accept a standard PSU, but I have yet to speak with anyone directly who has built in that one. CaseLabs also has all dimension spec for their cases on their website. amazing build ! Love it !!! BUT HOW? ITS SO BEAUTIFUL. Definitely one of the nicest looking builds I’ve seen . Only thing I would change is adding a white LED strip next to the window . It's actually on in most of the photos. Do you remember Pantone color values? I had an auto paint shop match the tones in person. I think it's Pantone 498EC and 489EC though. Hey that's a really great job! I'm actually starting a Noctua themed build myself and was doing a little research on how to match the paint and this post popped up. You really out did yourself! Even though it's a post from two years ago it still holds up really well, just goes to show that Noctua is timeless! In fact I bet if pcpartpicker were to hold a competition that looked back to 2016 this case would win best in show while most of the other early RGB cases would look tacky and dated. Awww schucks! Thanks man! I don't have the Pantones handy anymore but I know Noctua has posted them a few times before. They're also really easy to get in touch with via instagram if you have any questions for them. Thank you! It looks even better today! It's still my pride and joy and daily driver. Thanks! I totally get why they get the flack they do. Not so much ugly, just hard to pair. If you're going to do a test, I'd recommend just getting a couple pieces of similar material and getting a feel for the paint process on those. It's the feel that's the hardest to get down, and I'm pretty sure that no matter how great it turns out, you'll still have a better idea of how you'd improve on the next one. I think I used about 8-9 cans of Primer in the end. Which was about 5 more than I was initially expecting. Some sanding between coats removed bits and I had to reapply. Your paint adheres to the primer so it's very important that you have a layer of primer over everything that you want to have paint on. I'm looking forward to what you're cooking up! So awesome you feel that way. Thank you!